MageSend is the best, most reliable and simplest solution to send email in Magento. I guarantee this extension will fix errors sending emails in Magento, problems with emails not being sent or not arriving to your customers. If it doesn't then you'll get a full refund, no questions asked. I'm that confident in my premium email solution. MageSend takes away the complexity of configuring email for your Magento store, and requires only two easy to obtain access credentials in order to begin sending email. The built-in self-test button will send a test email via the SES service and report any installation issues such as extension conflicts. The included setup guide will take you through installation and advanced configuration of Amazon IAM, Amazon SES, Amazon SNS and the DNS records (DKIM, SPF and SPF2) you need to maximize your store email deliverability. 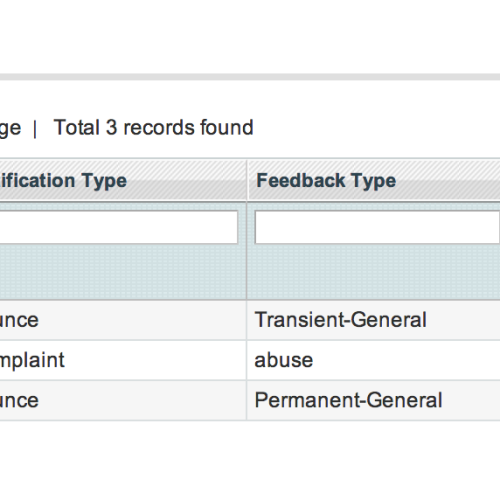 MageSend supports full outbound sent email logging, so you can review any messages being sent, and ensure no customer communication is going out unexpectedly. MageSend also listens for and receives delivery, bounce and complaint notifications configured to be sent back to your store from Amazon’s servers. This will allow you to identify problem email addresses such as joe@hotmai.com and deal with them appropriately. 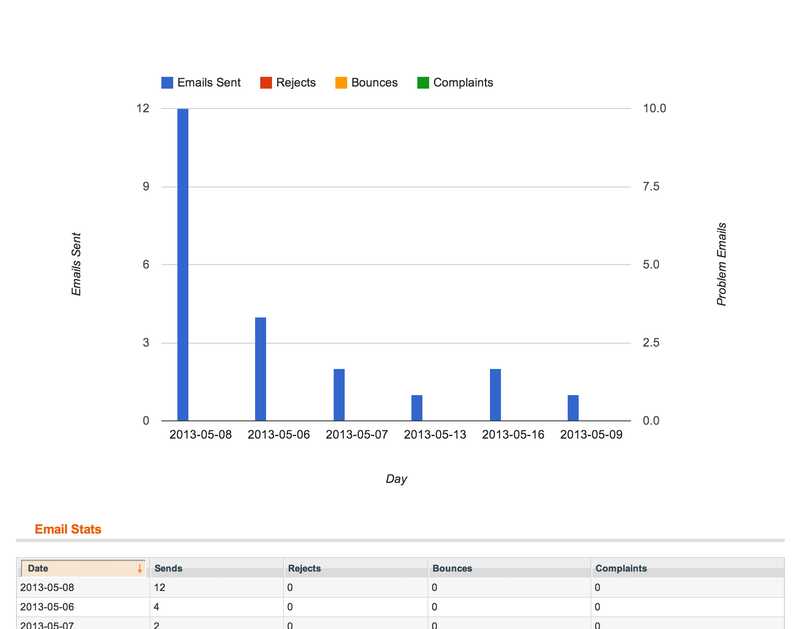 MageSend reports near-real-time email stats in the Magento Admin, you can keep an eye on the number of emails being sent, and also the bounces, rejections and complaints occurring each day. Combined with the fine-grain logging of outbound and problem emails, you can easily monitor and track your store’s email sending. With over 20,000 downloads of my open-source SMTP extension I have a proven track record of delivering reliable software. MageSend represents a further iteration my open-source software to become a complete, premium email solution for any Magento store. Many modern Magento coding approaches have been adopted, to ensure a reliable and compatible extension that can integrate with any existing extensions that may rely on sending emails or modifying emails. The entire extension is unencrypted, so you’re free to browse, review and modify it – note though that if you do choose to modify the code it will not be supported. Since 2009 I have been helping merchants send email from Magento stores. I have supported countless stores and have distilled the experience and knowledge into this extension. It represents the best way to send email, and maximum deliverability to your customers. It's backed by the most reliable Amazon servers, it's easy to log and debug, and it can handle hosting firewalls to ensure your emails get through without outbound SMTP access. There are only a handful of organizations with the internet clout to deliver emails globally. Amazon is one of them and they offer an email service backed by their trusted email servers called Amazon SES. This extension will take advantage of that service, you simply sign up and provide your AWS credentials. The Amazon SES rates for emails are ultra low 10c per 1000 messages at last check. MageSend supports multiple Amazon SES regions, allowing you to choose a location close to your Magento store hosting for low latency email sending. MageSend Magento Email suports Magento releases since 2011 with the release of 1.6.0. We will support every major stable release of the 1.x branch for two years from the time you purchase. 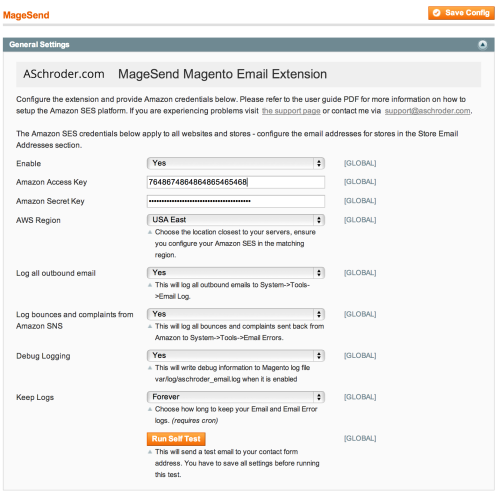 Magento extension that hooks up transactional emails with Amazon SES. If you're using Magento with AWS check out @aschroder MageSend. The dev, extension, and documentation are all beyond solid. Does the extension support sending newsletters from Magento? Yes, but we urge you not to use it. The Email newsletter functionality built into Magento is half-baked at best. The emails you send, and the metrics and reporting you get back are well below the required standard for effective email marketing. How will the outbound emails work with my customer service? The extension will send the emails 'From:' your store email addresses. That means that you control the configuration of the sending email addresses, but you also need to ensure you have verified all of them with Amazon, to prove you own them and are allowed to send on behalf of them. Having said that, it’s fairly common, and best practice, to use a support desk service for managing inbound customer communication. That way all outbound emails, and all inbound emails can be run through a mailbox such as sales@yourstore.com. MageSend works well in this sort of email configuration, and it will giv you a great platform to grow your customer support team. I’m not happy with my purchase, what should I do? If you’re not happy (for any reason), we’re not happy. Contact support@aschroder.com and we’ll arrange a full refund. No questions asked. How do I know if the extension will be compatible with my store? Extension clashes are an inevitable fact of Magento store life. The good news is the extension will detect clashes and alert you during self test. If the clash is minor, the event based integration that MageSend uses should make it easy to resolve the conflict. For more advanced conflict resolution, we offer a custom development service for an additional fee. Contact us for a quote. I’m a highly technical user, will the extension suit me? Let’s talk nerdy, MageSend is fully compatible with modman Magento module installation management. 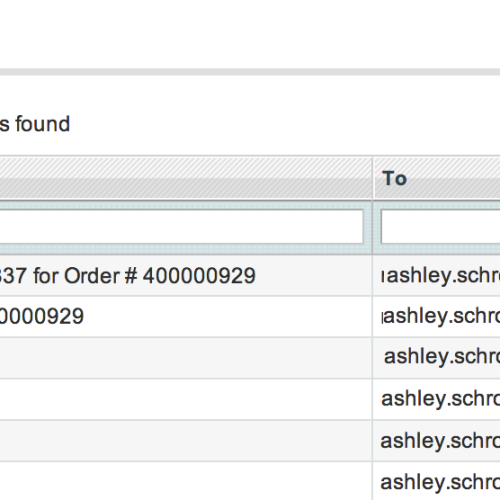 It’s fully event-enabled for both pre-and post sending integration. It’s written along the most recent core Magento guidelines for email template integration. If you want to talk nerdy just get in touch with us. 1.1.0 – Magento 1.9.1 compatibility release. Support Magento email queue (and allow bypassing it). Bug fix for non-internet facing admin configurations and SNS notifications. 1.0.9 – Add support for new Delivery notification feature, bug fix for https graphs on the Email Stats page. 1.0.2 – bug fix: https URL for SNS subscription did not match requested scheme. 1.0.1 – initial public release. Congratulations for this new extension! For SMTP I disabled the extension, for Ebizmarts I extended the class. After this, test email works perfect. Then I checked the emails headers and in all cases I got expected headers. Perfect! Stats in Amazon looks great and correct. I enabled all log options and works properly. We just installed the extension, following the documentation which is really easy to follow. The Amazon / Magento setup details are straight forward and easy to follow even for a newbie to Amazon Services. After that, it’s just a matter of filling out some fields and you get your extension up and running. It also has some great features, related to Amazon Services such as statistics and logs which is awesome if you want to monitor your emailing activity without having to login to Amazon account as well. You have everything you need directly from Magento Admin panel. We recently updated our website WatchChest.com and moved to a dedicated server. Once everything was complete we found that our email was not working correctly. We consulted with multiple developers and had no success in getting the email to send with Magento. We found the extension MageSend and installed it as outlined in the detail instructions. Everything was clear and simple with the install and our site mail was working perfectly within a short time after purchase. Any questions we had were promptly answers by the developer. We also have much more detail in the email information. My team was banging our heads against the wall and spent over $1K having developers and our server company investigate the problem. We finally decided to get Aschroder’s extension, but then initially asked for a refund since we were skeptical of the latency between our dedicated server that’s based in Latin America and Amazon Web Services. Ashley was quick to respond and was happy to give us our full refund but also addressed our concern and offered support for the setup and other issues with which we were concerned. This gave us the confidence to at least give it a shot. 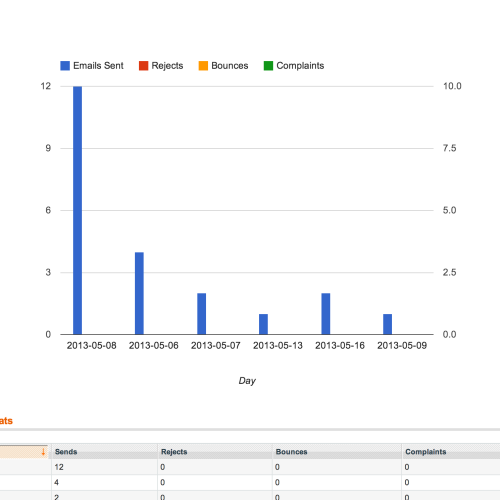 Within about an hour and a short delay waiting for AWS approval, we were up and sending out emails seamlessly. It was very simple to setup despite being somewhat intimidated by setting up AWS with limited technical knowledge. However, I followed the instructions, which are well-documented for the less tech-savvy, and went through the installation process without a hitch. I would highly recommend this to anyone having issues with their outgoing email and email servers in general; don’t waste your time or money on other solutions, just get this! If you are struggling for more than say a couple of hours to get your Magento 1.9.1 to work properly with cron job to send order confirmation emails then save yourself extra grief and go purchase & install MageSend – which is exactly what I did ! 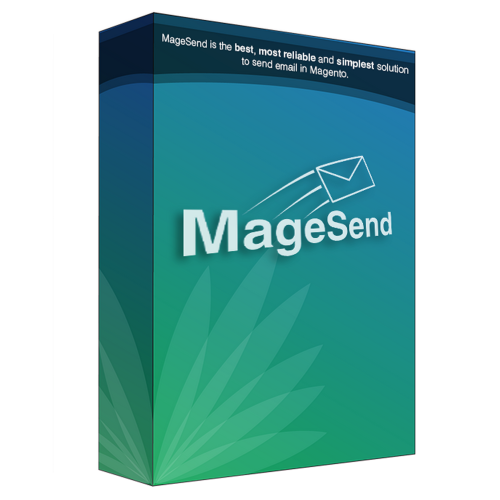 I found MageSend to be a quick & easy install albeit setting up an Amazon AWS SES account can be a bit confusing at first – but with a bit of patience – I made it in the end. However, when I came to install another Magento Extension from another supplier I got a conflict. I contacted Ashley and within an hour he was looking at the problem which he quickly resolved – albeit the issue was not with MageSend code. Awesome support and well worth the money. Highly recommended !